"More!" you shouted, and more! you get because the next load of Indietracks bands have been announced, and there's some doozies. 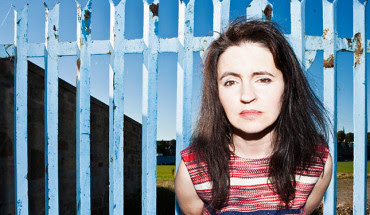 Emma Pollock and Darren Hayman and the Secondary Modern are the big names added to the line up for the festival. The other bands added are: Comet Gain, The Lovely Eggs, Boys Forever, Simon Love and The Old Romantics, Trust Fund, Iko Cherie, Wintergreen, Red Sleeping Beauty, Nervous Twitch, Humousexual, White Town, Jessica and The Fletchers, Witching Waves and Helen McCookerybook. Days for the headliners have also been confirmed today: The Spook School (Friday), Saint Etienne (Saturday) and The Aislers Set (Sunday). Early bird tickets are still available, so don't be an ugly duckling - order yours now. Imagine if you were 17 and were able and talented enough to put all those things you're experiencing and all those situations you find stifling and frustrating and exciting and confusing to music. And then release it as a record. 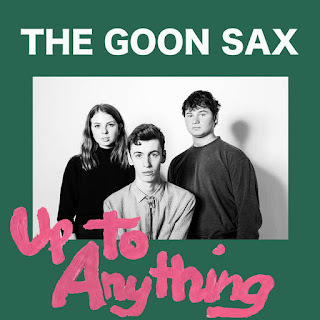 Welcome, then, to the Goon Sax's debut album 'Up to Anything'. Leave aside the rotten name, this is a band with some pedigree as it has among its number the son of Go-Between Robert Forster, and the apple hasn't fallen far from the tree. 'Up to Anything' aches with yearning, and the general silliness of teenage life. From the deathly serious subject of unrequited love in 'Sometimes Accidentally' and 'Boyfriend' to the dreaded rigmarole of entering a barbers ('Home Haircuts') when you're not entirely sure what you're supposed to do - never mind ask for. These are the big issues. And I came out looking nothing like Shane Warne". Musically, think early Hefner, with the odd country-ish twist, it's mostly downbeat stuff here, and there's nothing wrong with that. 'Sweaty Hands' features the most wonderful lolloping bassline, for example. 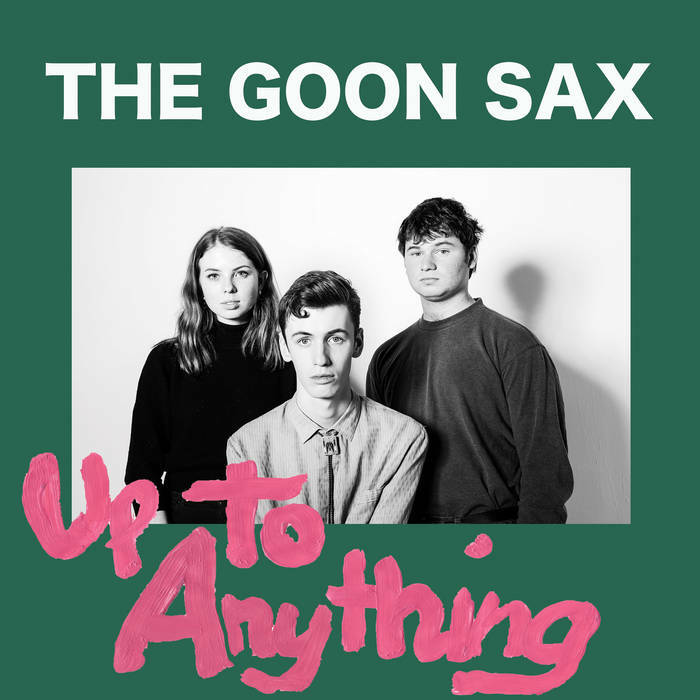 That's not to say The Goon Sax don't have their playful moments; 'Susan' is almost breezy, but of course it's all about the terrible pain of love and loss. The highlight of the album is the beautiful 'Anyone Else' which tells the tale of a frustrated suitor, and veers magically between early Smiths and Galaxie 500. I've not heard a record that brings back all those horrible teenage feelings for quite some time. I mean, for me it's all a very long time ago now, but listening to 'Up to Anything' little pieces of it come back to haunt you... but also bring a sense of comforting familiarity too. And isn't that what all the best music should do? Listen to, and buy, 'Up to Anything'. Sure, you want to know what spurs the Indietracks organisers on towards arranging the best music festival in the world, don't you? Now you can. TRIGGER WARNING: contains Hidden Cameras fan-fic. Is this the 10th Indietracks? How has it changed? Nat: Yes, this year is our tenth weekend festival and we're all very excited to be celebrating our birthday with the railway this year! It's changed a lot since the first Indietracks, which was a one-night event back at Butterley station back in April 2007. Then, there was just one stage at Butterley and three bands playing. We've since moved the site to Swanwick and have around 50 bands playing over the course of the weekend. There are now four stages, including the large outdoor stage which we introduced in 2009 when we partnered with Elefant Records, and we've also expanded our range of catering stalls, introduced workshops and increased the number of discos. The railway staff are also absolutely brilliant and try to introduce something new every year which we're always very grateful for - for example the outdoor beach, the steamroller displays, the owl sanctuary and guided tours of the museum. They're really keen to help us improve the festival, and always surprise us with a lovely new feature every year! This year we're also especially looking forward to showing a beautiful 30 minute documentary about the railway and Indietracks made by award-winning director Jeanie Finlay, which was filmed at Indietracks last year. 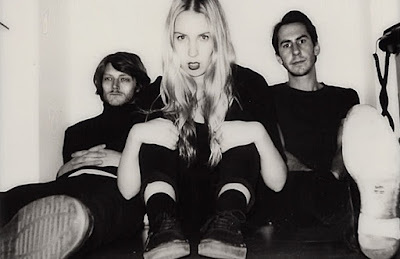 Is it more and more of a challenge to find bands, or are you pleasantly surprised this year? Ian: The bands find us! I'm always pleasantly surprised by the applicants each year, bands that have fallen under my radar or I've just never heard of - every year throws up some gems. I think the scene is wide enough for us always to be able to select a varied line up of new bands, established bands and a few reformed legends too. I guess it's the headliners that are always the challenge, it's so important to get these right and the field is a bit narrower for these slots. We've got a pretty long list of wants for the headline slots though and we definitely ticked off a couple this year with Saint Etienne and The Aislers Set - we've been after those two for years! 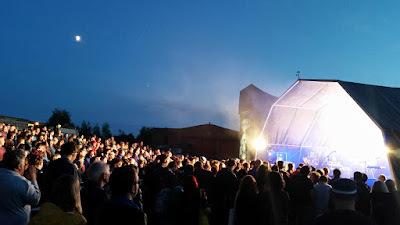 Generally speaking I think the indiepop scene has evolved a lot in the last five years and we want Indietracks to move with it, not be stuck in the past. That philosophy means we are never in short supply of bands to choose from. What's the process for picking bands? I'm picturing fist-fights? Andy: Haha, it's actually all very friendly! We try and make sure that we have a varied (and hopefully sometimes surprising!) selection of bands, so it helps that everyone in our team brings different ideas. There are plenty of spots to fill, so we can all be happy. The invitation process runs all year around, especially for the headliners - sometimes we're in touch with bands for years before the timing is right for them to come and play. We're especially excited to have Saint Etienne and The Aislers Set this year, as we've loved them for ages. We also invite bands to apply, and spend most of January listening to 400-500 applications and picking our favourites - there's a few amazing new bands on our first announcement that we discovered through the applications process. We also look at the Anorak wishlist, spot bands at shows and try and pick up on what people are excited about. Is there anything new in store for this year's festival? Marianthi: Same old, same old, I'm afraid. The best bands, the best beer, the best friends, the best train rides, the best way to set yourself up for the revolution: by believing in the good in things. Indietracks is full of sparkly surprises every year and we are as dazzled by them as you are. Indietracks came about partly because of a disillusionment with larger events. Do you think these larger events have made any concessions to cater for different music tastes or those without huge budgets, or are they lost forever? Alice: Going to any festival big or small is an expensive affair, but thankfully now there are so many different events out there that you can find your little place in the world. I think the idea of a 'Festival' has changed so much in the last ten years, and people want a curated experience. They want more than a stage, dodgy festival noodles, a stall to buy a dumb hat and a Carling beer tent. Most big events have to have a wide musical remit to attract the numbers they need, I used to regularly go to Leeds Festival in my sadly distant student days and would find enough bands that I was excited about. But why would I feel the need to go to Leeds Festival now when I can go to a festival that fully caters for me? I'm sure Reading still has some OK bands playing, but why would I want to go there when I can go to End of the Road, Festival Number 6 or indeed Indietracks? 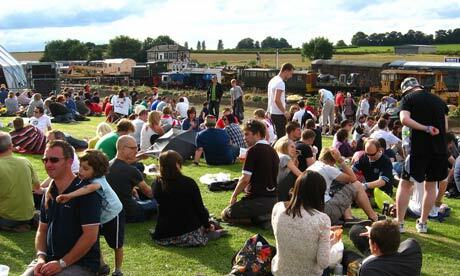 How has the Midland Railway charity benefited from Indietracks over the last decade? Andy: I think it's brilliant that the festival has introduced thousands of new visitors to the railway - a lot of people will come along to the festival because they love the bands, but will then really enjoy all the railway attractions; the steam trains, signal boxes, transport museums and miniature railway etc. The railway staff and volunteers work so hard to keep the charity going, so it's great to help attract so many visitors and that our audience really like all the railway side of the festival. We're also the biggest annual fundraising event for the railway charity, and our visitors raise tens of thousands of pounds each year. This really helps with the cost of maintaining the site and locomotives, and also contributes to improvements such as the new Swanwick station building and the new bridge to the second platform. It's really expensive to maintain the railway, and the funds people raise by coming to Indietracks are vital in keeping the railway running - so thank you everyone! When you're old and grey and sat next to Hidden Cameras in sheltered housing, how would you like Indietracks to be remembered? Nat: Hee! First of all I'd pull out my dog-eared photograph of me and Joel Gibb being photobombed by a confused-looking owl, and ask him if he remembers much about that night, and whether he still has their glittery silver costumes! Seriously though, hopefully Indietracks will still be going when we're old and grey, but if not then I hope it lives on peoples' memories as somewhere that made them happy. That's certainly how I'll always remember it - it's my favourite place in the world. Ian: That we succeeded at something people thought could never happen. That we did it for the love of the music and because we could, not that we were trying to dictate a scene or define it. That we probably paid for the Cheddar Valley owner's children to go to University. That we gave bands ignored by the radio and press the recognition and the stage they deserved. That we made people happy and gave them the some of the best weekends of their lives. Alice: I can't really imagine it being over, I'd like to think it would still be running in some shape or form. I'd like to hope that with the company of Hidden Cameras I could forget about the shirtless dudes drinking Buckfast in the campsite disco. But sadly that unsettling image is etched into my retinas. I'd hope that people would remember orange cider, owls in the bar, can crush o'clock, drunken hangs in train carriages, llamas, the amazing and friendly railway staff and it being the centre of our little scene. Marianthi: Part of me doesn't want anyone to remember anything, and just enjoy being serenaded by a still-hot Joel Gibb in our wheelchairs. Another part of me wants Indietracks to be remembered as something that spurred people on to be in bands, make stuff, put on gigs, think about community and inclusivity, fall in love, believe in the railway, believe in good. I'd like it to be remember as a place where it was completely OK to be yourself and you felt safe and happy and amazed. And never, ever forget the glitter cannons. Oh, look - the line-up for this year's Indietracks - the 10th (tenth) has been announced, and it's an absolute belter already. Headliners are Aislers Set and Saint Etienne, but the supporting cast doesn't look top shabby either: Shopping, Expert Alterations, Flowers, Seazoo, Po!, Chrissy Barnacle, ¡Ay Carmela!, City Yelps, Soda Fountain Rag, Charla Fantasma, Vacaciones, Songs for Walter, Two White Cranes, Falling & Laughing, Maggie8, Lorna, Pete Green, The Charlie Tipper Conspiracy and Prizefighter. Tickets are now available at an early bird discount price of £72 (weekend) and £39 (day), excluding booking fees. These cheaper prices are available until 9pm on Sunday 15 May. After this date, prices will be £79 (weekend) and £41 (day). Weekend tickets for children aged 5-15 are £10, or £6 for a day ticket. Children under 5 get in free! You know what to do. See you at the bar. We've got an interview with the organisers of Indietracks coming up at some point over the next couple of weeks sometime. To be precise. Slowcoaches bid to take over the world takes a big step forward with this mighty single. Ex Head blasts out of the blocks and never lets up. Heather Perkins' vocals might be smothered in the kind of fuzzed-out bliss that was popular right at the end of the 1980s, but they're still deeply affecting. This is perhaps the most accessible Slowcoaches track I've heard, and comes across as a confident marker for what's to follow. Think late-Pixies, Husker Du or and even - gasp - the good bits of Senseless Things and if you like all that jazz, then you'll love Ex Head. Slowcoaches are out and about on tour from 10th March, and I'll be stood and the back looking nervous when they play the Chameleon in Nottingham on 12th. Come and tell me it'll all be okay. Oh, what's this that just dropped into my inbox? Why, it's the first bands confirmed for this year's Indietracks. I'm too tired and busy to make comment yet - suffice to say I wish it was Indietracks every weekend. The Go! Team, Cinerama, Martha, Tigercats and Euros Childs are among the first 17 artists to be confirmed for this year’s Indietracks. The festival takes place on the weekend of 24-26 July 2015 at a picturesque 1950s steam railway in Derbyshire. The other bands added to the bill today are Desperate Journalist, Mammoth Penguins, The School, Bunnygrunt, The Catenary Wires, The Tuts, Los Bonsáis, Fire Island Pines, The Fireworks, JUNK., The Leaf Library and Eureka California. Dozens more artists will be added to the bill shortly. Tickets are now available at an early bird discount price of £68 (weekend) and £37 (day). These cheaper prices are available until 5pm on Sunday 3 May. After this date, prices will be £75 (weekend) and £39 (day). Weekend tickets for children aged 5-15 are £10, or £6 for a day ticket. Children under 5 get in free! On 30th January we're welcoming back Nat Johnson and her band to Nottingham for a show at Lee Rosy's, where we haven't put a gig on for YONKS. The date is part of Nat's Neighbour of the Year tour, and she'll be accompanied by her wonderful band on harmonies, flute, fiddle, lapsteel, horn and banjo. Nat will be playing a retrospective set featuring songs from her Monkey Swallows the Universe and Nat Johnson & the Figureheads days, as well as (of course) songs from the new album. Support comes from Derby's Mighty Kids, and you can buy tickets here. In Nottingham, UK. It's okay. If any of you would like to send me music to review, please contact me at alayerofchips at gmail dot com. Don't Start Feeling All "Romantic"
The Indietracks blog is moving! Skatterbrain! :: All I ever wanted was a happy happy heart.